Samedy Sok was born in Battambang, Cambodia and migrated to the U.S. in early 1982 as a Khmer Rouge survivor and refugee. In 2013, he started working with the World Relief U.S.A. and started a new U.S. Programs office in Maryland and provided highly successful services to the refugees, immigrants and asylum seekers from around the world. Before joining the World Relief, he worked with the Lutheran Immigration and Refugee Service, and worked many years in a variety of roles in community development, served the refugees, immigrants and asylum seekers through resettlement programmes, including the needy population. Part of the U.S. Resettlement programmes. He also worked closely with many none-for-profit agencies, local government community development departments and U.S. church partners to develop the community services to serves the most vulnerable. 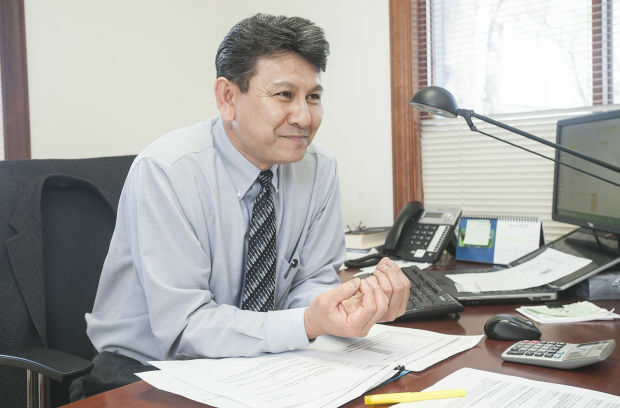 Currently, Samedy is a Country Director for the World Relief Cambodia. He earned his Bachelor degree from the State University of New York in the Interdisciplinary Studies; Concentration in International Development; Refugee Services and Post Graduated from Utica, New York; focused on Survey/Researching of Community Services and Development, San Diego, CA; focused on Strengthening Refugee; Immigrant Families and Communities Development, Boston, MA Psychological Training; for 'Refugees, Immigrants; Human Trafficking, Victims of Violence', American University Washington, DC with the Embassy and Diplomatic Scholars Programme; Foreign Relations; Policy and Practice” and Strategic Communications Training. He's also a Member of Building a Better Response for Humanitarian Disaster Relief in Southeast Asia.